Which mid-major teams have the most to lose during Championship Week? Championship Week is a TV spectacle that harms good mid-majors. Who's most at risk this year? As discussed in this space last season, Championship Week does more harm than good for mid-major conferences and teams. Nine different top seeds from single-bid leagues failed to make the NCAA Tournament last year after falling short of their respective league championships. The number is typically even higher. Some leagues haven’t advanced their top seed in over five years. Nonetheless, we do this all over again this week and next. A lot is on the line for mid-majors around the country, as they hope to avoid falling short of the goal by way of a single-elimination tournament following a dominant regular season for many. Below, we evaluate the mid-major teams that have the most to lose during this year’s Championship Week — top programs that are unlikely to receive an at-large bid, but have still put in great seasons thus far. So if you’re wondering why Gonzaga or another school like that isn’t listed, there’s your answer. 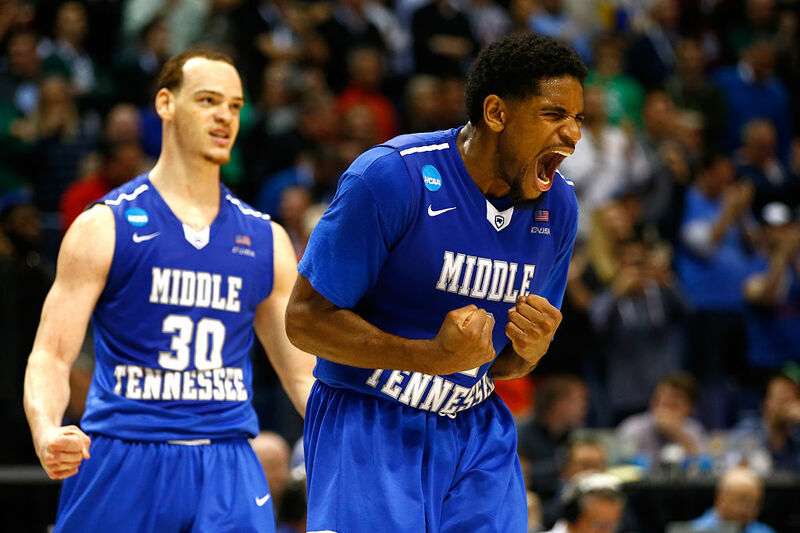 MTSU’s been the class of C-USA for years now, so this is a seasoned program that can handle the pressures of March. The Blue Raiders understand the limitations of the league schedule, so they did create challenges in non-conference play like Auburn, USC, Miami and Belmont — and to a lesser extent, Ole Miss and Vanderbilt. Still, Middle Tennessee’s strength of schedule is barely top-100, and going further in the C-USA Tournament without winning it won’t help that. The Blue Raiders’ top win right now is also Murray State. Bubble chaos will hurt them, even with a top-25 RPI right now. The Ramblers made noise early, beating Florida on the road, and they’ve kept up in the win-column with a 24-5 record. Questions will come up around the overall body of work, however, despite the No. 34 RPI. 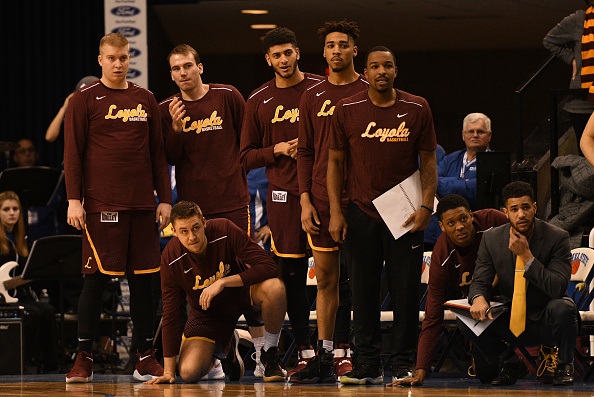 Other than Florida, Loyola-Chicago’s other top-100 wins all come against Illinois State and Southern Illinois. They have two losses to teams ranked 150 or worse in the RPI. The Ramblers are set to be a dangerous 12-seed or so provided they win the MVC. It just seems unlikely they’d get the nod otherwise without any more opportunities to pad the 165th-ranked SOS. Games against Miami, USC and St. Mary’s — especially the victory over the Hurricanes — had NMSU on the radar as a potential at-large team for much of the season. However, back-to-back losses to Utah Valley and Seattle were a death knell for those hopes. And the Aggies have just four wins against top-150 teams. With an SOS of 189, and an RPI outside the top 50, it’s WAC title or bust. Listen, I don’t want to call them “Louisiana,” but I’m just trying to cover all bases here. The Cajuns’ resume is boosted by a loss to Clemson, but other than that, they don’t have a win inside the RPI’s top 130. Also, ULL’s strength of schedule is near-200, and could dip lower depending on who they play in the Sun Belt Tournament. Of course, they score points and are a fun team. It’s just too easy to doubt that resume against a busy at-large field. Vermont’s a bit better situated than “Louisiana” despite the Cajuns playing in a better conference to some extent. The Catamounts played both St. Bonaventure and Kentucky close, and their only bad loss is a one-pointer to Hartford (their lone conference loss, and first since 2015-16). Still, zero wins inside the top-100 (but five in the 111-128 range), and an SOS of 173. No one left on the schedule can help those numbers. Buffalo’s sustained more losses (eight) than the rest of these teams, but has also played a tougher schedule, currently ranked 70th in the country. The Bulls have two top-100 wins, over Toledo and Ball State, and four losses to top-50 clubs (including missing the upset over No. 11 Cincinnati by just six points). Bad losses to Kent State and Southern Illinois are pretty damaging, however. Still, if they can keep their top-40 RPI, they’ll at least need to get a brief discussion in the selection room. Plenty of other teams are obviously in the same boat as these programs. But with the names above so close to the bubble, it hurts much more. For a likely 16-seed, you know you’re not going to the NCAAs with a loss. These schools listed don’t just have an outside shot at an at-large bid. They could win a game or two if the bracket falls right.